QCOSTARICA – “Unattractive” salary or professional commitments is the reply President Luis Guillermo Solis is getting from potential candidates for the Deputy Minister of the Presidency (Viceministerio de la Presidencia). 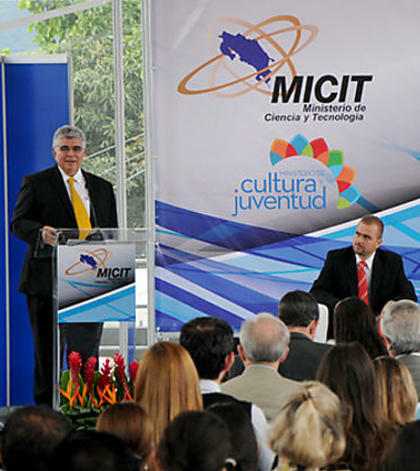 Solis, on Monday afternoon, after officially inaugurating the start of the 2015 school year at the Liceo de Pavas said he has “not been able” to fill the vacancy left by Daniel Soley, who resigned on January 17 in the case of offering Attorney General, Ana Lorena Brenes, ambassadorial posts in return for her stepping down as AG. The President had said last week he as evaluating three or four options to replace Soley, analyzing each before making a decision. But, it appears no one seems to want the job. The President assures he hasn’t been told “no” outright.